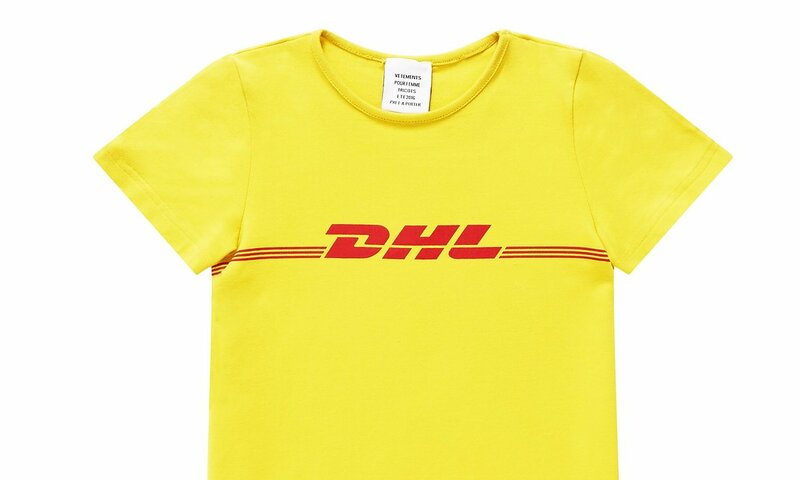 All I Wish Is App / Articles / Why is Everyone Paying $265 for a DHL T-Shirt? How much would you pay for a bright yellow DHL t-shirt? Thanks to the latest high-fashion trendsetters.Â Consumers have been willing to pay as high asÂ Â£185 ($265 USD). You heard that right. $265Â for a similar shirt that DHL sells in bulk for $6.50. The only difference between the two is the slightly baggier fit on the DHL model and the red lines continue around the backside. Back in October 2015 Vetements (a high-fashion designer) unveiled the t-shirt on the catwalk and set the tone for spring/summer 2016 fashion. Since then, the t-shirt has receivedÂ massive attention and is selling out pretty much everywhere it’s being sold. Despite the high price tag. Fashion experts claim the success is due to Vetements finding a way to “hack the system”. They’veÂ utilizedÂ their level of influence to convince consumers thatÂ â€œItâ€™s ugly, thatâ€™s why we like it.â€. Over the past decade, we have seen a shift in fashion trends. There has been a recent decline in consumers affinity for logos and brandingÂ which has led to growth in brandless fashion. This has paved the way for smaller, lesser known brands to make fashionable and trendy items. Along with thrift shopping becoming a common activity. In an ironic twist of fate, the fashion industry has followed this pattern and began creating clothing to cater to unbranded designed. But that was inevitable. With this “new” trend making its way back into the mainstream, we made find ourselves digging through our boxes full of old clothes. You might even have an old DHL shirt lying around somewhere. DHL claims to have had no part in all of this, but they certainly appreciate the free publicity. But that’s okay. Just because fashion trends are always changing, doesn’tÂ mean you have to. Be yourself and feel good in what you wear. No matter what the masses are saying is “trendy”. In all likelihood,Â this fad will be short-lived and something just a ludicrousÂ will take over.